A very floral wish to you people. Yesterday, I have participated in LESC Skype session and as usual @Bubbly di came up with a unique idea and ask every member to share the name of their favourite flower. I realised that I do not know the English name of the most common flower that I usually see in my college garden and several other gardens near my home. I wanted you, people, to start a discussion on flowers and their names(regional name as well as an English name). Share with us the name of the flower, Images( if you can) and at last a little description. flower are the instant source of Happiness and of sadness as well. If you like you can share poems as well. As I can remember we had one chapter in our class X English book named Daffodils. I love that poem as it is about the description of Daffodils. let me revise it once more. @takafromtokyo @paulette @Zom @Bubbly @prateek @nidhii @abhishekb9099 @Anurada @Frank @khalied @kindgnice @Shiny03 @Rema @gam01hr @torellip @Monik @april @mheredge @Lynne @GemmaRowlands @amatsuscribbler @Yellowtail @Janjard @Michouxe @Dora @aladdin and @all_the_members_of_LEN_Network. 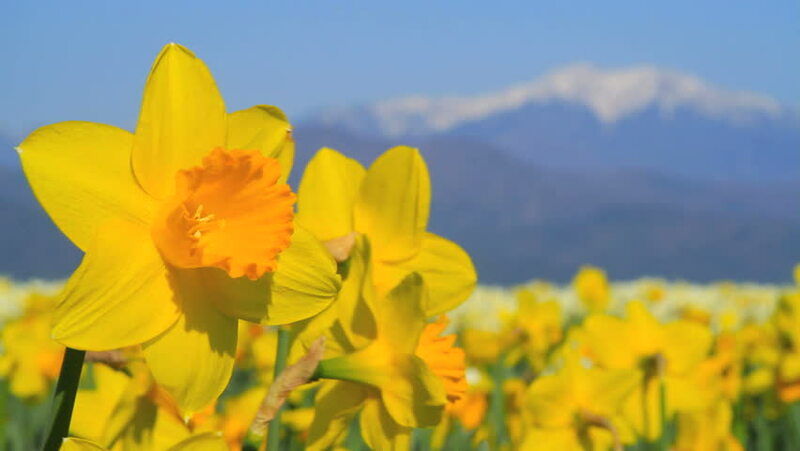 @mohit_singh Yeah I have also read that poem on Daffodils. Rose comes first in my list of flowers.I like it's smell and. all the colours.From Childhood I attracted toward it.As Rose is most common flower and you can see it many house.As a child always want to pluck it whenever I saw it and would like to keep it in my book.And we use rose in worship also .And I like Gulkand made-up of Rose and rose water also. I remember most amazing fact about Rose flower. Place where Haldi Ghati fight had taken place and land is swarmed by the blood of thousand people is now the place of cultivation of various types of Rose flower And IT is famous for one of the best quality of Rose flowers and their Gulkand and Rose water is also very famous.Everyone get amaze how the soil once flooded with blood is now giving birth to beautiful flower which is a symbol of love. Thank you for sharing @mohit_singh and @nidhii . 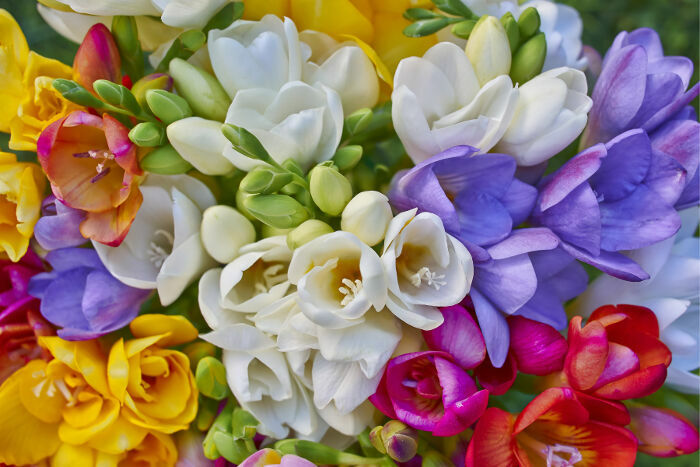 One of my favourite flowers is the freesia. If you have never seen or smelt one, they have a delicate, sweet scent. 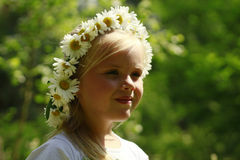 The flower are bell-shaped, on wiry stems, and come in various colours; white, yellow, pink.... They are said to symbolise innocence and friendship, another reason to like them. Sadly they don't grow well in the UK or Germany, so I don't get to enjoy them very often. My favourite flowers in my garden are from my lavender plants. I love the smell and colour of lavender. When I planted them I put them near the path, so that I can brush my hand along whenever I walk past. 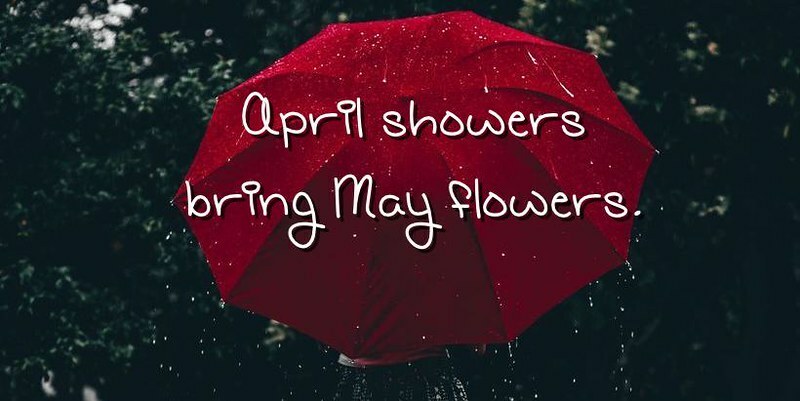 My favourite flower changes with the season. At the moment I enjoy spotting daffodils and primeroses when I go for a walk. 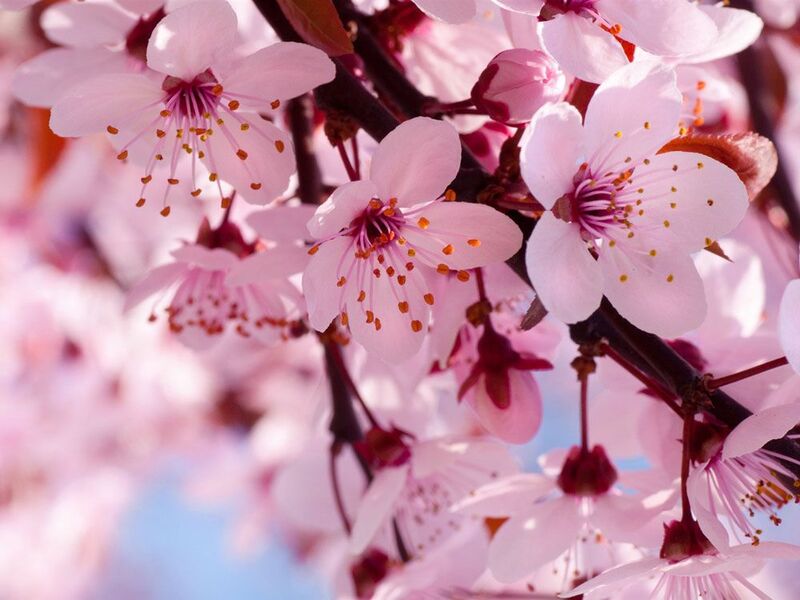 Cherry blossom is my favorite! Time for cherry blossom viewing is coming closer. 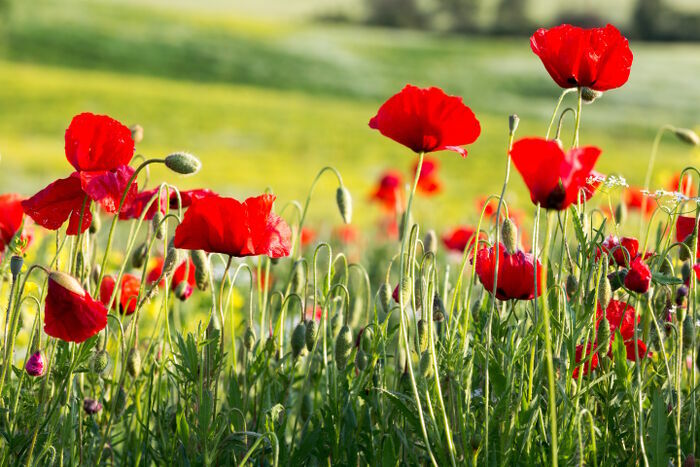 I love poppies, it's a beautiful wild red rose. In the region where I live they flourish in all fields. What about your favourite flower? Is there any flower that you are attracted towards?@jackelliot. I can see you like blogging.If you want you can write a blog on flowers. I guess people will read it. The truth to tell, propels your thrust. Your mission, to bring forth hope and light. Your faith a spur, to the flagging heart. Beyond the bleak horizon, comes jutting spring. Image of Christmas OrchidThe Orchid or Christmas Orchid is the National Flower of Colombia, in particular, the flower is variety Cattleya Trianae which was originally discovered in 1840's in Colombia. It was chosen as the National Flower, after a recommendation of the Colombian Academy of History in 1936, although it has not been officially adopted by law as such. Having a fetid smell, Colombian orchids often grow along mountain streams are said to be among the most beautiful on earth. @mohit_singh @nidhii I have also read this poem on Daffodils and I was weak in English so whenever teacher made me read a poem in class. I read it like a paragraph without any rhythm like if it is a serious story and after that everybody starts giggling and laughing. I was like ..What ...? I have read all the words clearly, then the teacher told that It is a poem you have to read with a rhythm not just throw away the words and finish your job. I don't know much about flowers. Except some like Roses, Daffodils, I even don't know the names of much but it's interesting to know the names here. There is a small incidence of flower I am sharing below. I don't remember but my parents say that when I was in kindergarten. I have given red hibiscus flower to my teacher and when they asked why I am giving her Hibiscus flower and told me that I can give her roses or some other nice flowers but I denied to give other flowers and told that my teacher is big in size and this Hibiscus flower is also big so this is perfect for her and other flowers are small so they will not match with my dear teacher. Everybody and I still laugh of talking about this incident that how crazy kid I was. Comparing flowers with their size ...hehe LOL . Has anybody compared flowers with their size or only I was crazy? This is a proof of innocence and imagination of a child. Is it Freesia? @Lynne.I googled it. It is beautiful. Is there any way to smell the scent online? My favourite flower changes with the season. At the moment I enjoy spotting daffodils and primroses when I go for a walk. @Zom, we have this flower in our college campus. But it grows only once in a year. This is the time when I can spot some Primroses here in India. OMG! This flower looks so sweet @takafromtokyo. Thank you for Introducing this flower to us. I love flowers. I love you. Thank you for sharing the poem. I love it. 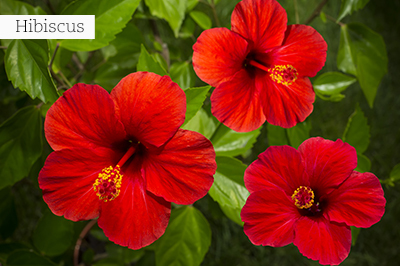 Have you given this red Hibiscus to your teacher @prateek?There are other colour and shades also available. Yeah, you are right @mohit_singh. this was the flower and yeah this is the favourite flower of Goddess Durga. I have got a plant of red and pink Hibiscus in my little rooftop garden. It's a very good idea @mohit_singh ! My favorite flower is the orchid (orchidée in french). These flowers calm me down and I am captivated by its shape. The daisy (Bellis perennis= Latin name) is a lovely little flower. The name Bellis perennis means 'eternal beauty' or beautiful all years. " Bellisis means beautiful and perennis means "everlasting". The Dutch name Daisy ( Dutch = Madeliefje) may come from virginity love because the flower was formerly associated with the Virgin Mary. I'm agree with Paulette, the beautiful red papavers! Who doesn't knows this flower? I have takes a copy of this poem, thanks Paulette! Now my story, if I was a little girl every week we go to the (Limburg) Neerpelt. There lived a sister of my stepfather and she had after the house a large meadow. I played many time there and than I plucked whole bouquets of buttercups and I was so lucky that I could give my mum this beautiful flowers! 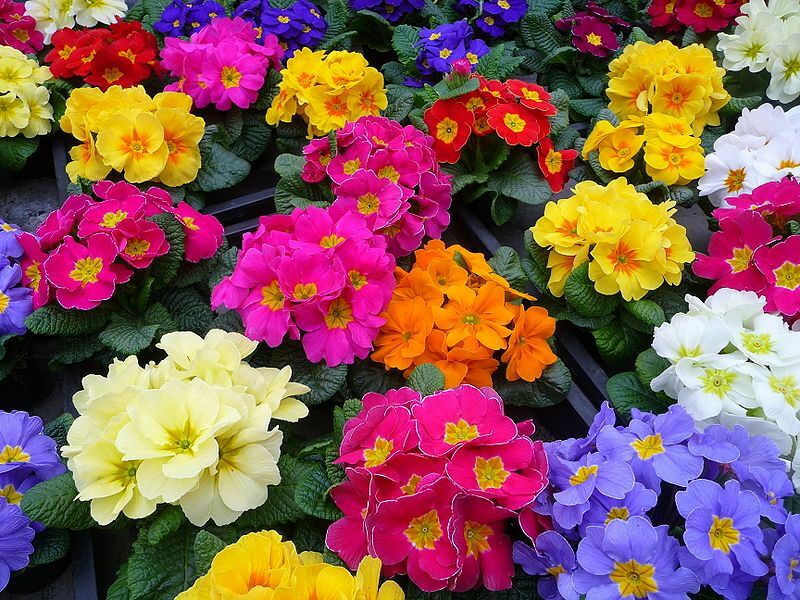 @mohit_singh - Here too I can see primroses only once a year; it's when spring is around the corner. Sunflower! Because I like summer. Blue sky, cumulus clouds, and sunflowers cast shadows on the shining green grass, is one of my most favorite landscapes in summer. I also like Freesia beautiful colours. Cherry blossoms look really nice, don't they? 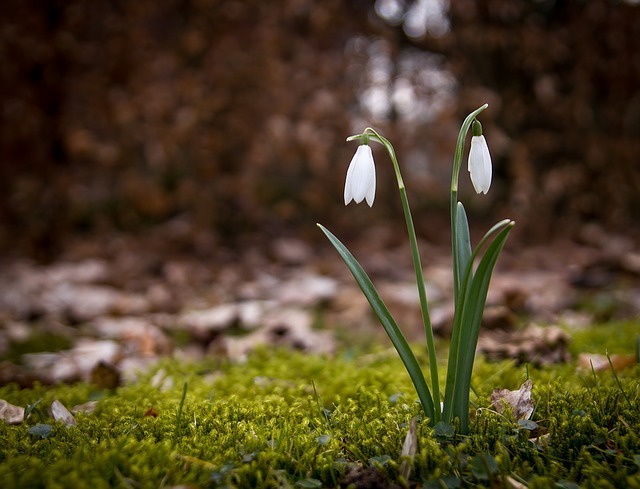 They are beautiful when in full bloom and they are also beautiful when they fall to the ground. Do you have cherry blossoms in your place?